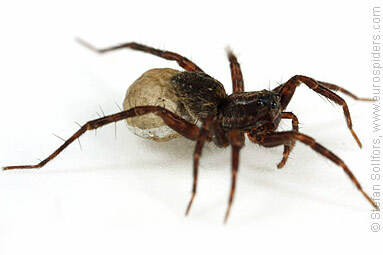 Female Pardosa pullata carrying its egg sac. 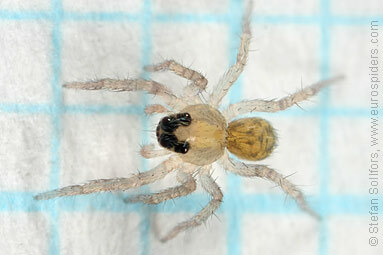 Female Pardosa pullata with two legs missing. 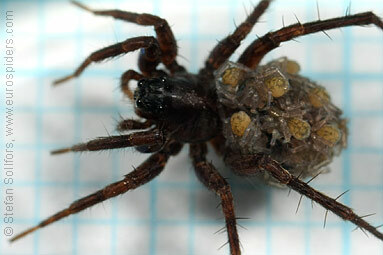 Female Pardosa pullata carrying its spiderlings. 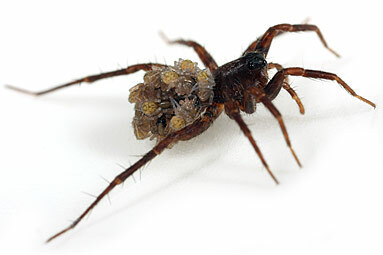 Female Pardosa pullata carrying its spiderlings, head-on view. 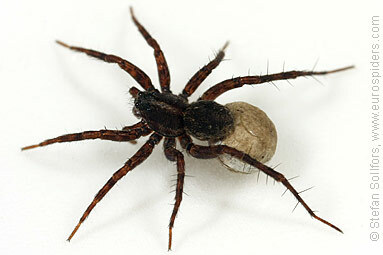 Female Pardosa pullata carrying its egg sac, side view. 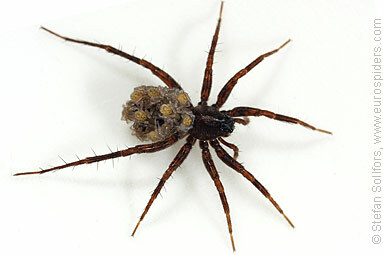 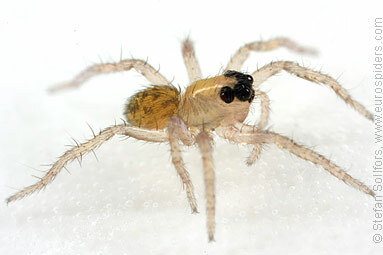 Female Pardosa pullata carrying its spiderlings, side view. 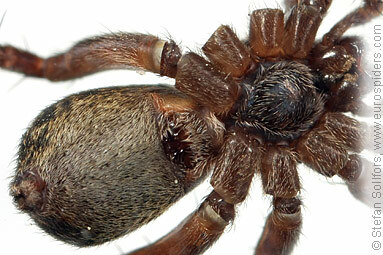 Female Pardosa pullata from below. 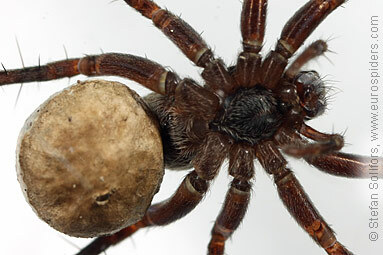 Female Pardosa pullata carrying its egg sac, seen from below. 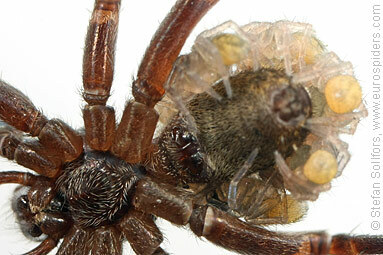 Female Pardosa pullata carrying its spiderlings, seen from below. 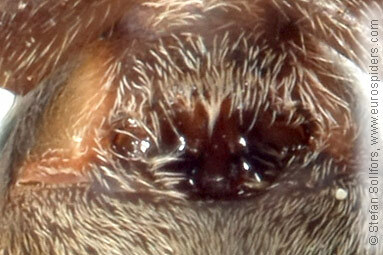 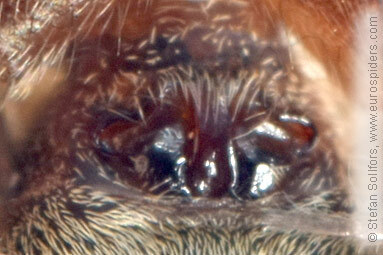 Female Pardosa pullata, close-up of epigyne. 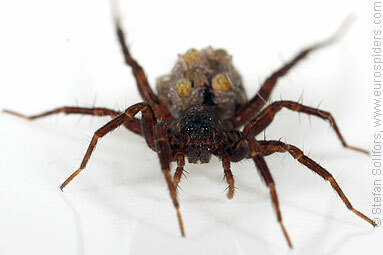 The wolf spider Pardosa pullata. 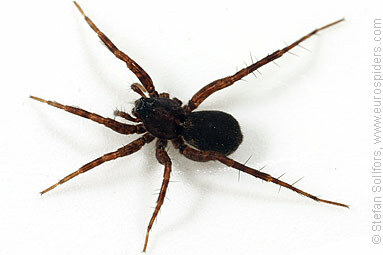 The specimens on this side are unusually dark.